Jihad will conquer victimhood. Terrorist attacks are NOT tragedies. They are atrocities. No more flowers and candlelight vigils. Please. OK, help me out here, There are good Muslims, those who follow all of the requirements of the Islam from the Quran, the sura and hadith. Plus Islam’s law called Sharia. Some of these rules come from Allah through Muhammad. Some of this is what Muhammad did and some of this is what people said Muhammed did. Sharia is how a Muslim is supposed to live covering all their rules of Muslim life. The Jihad means several things: man struggle with himself to be a good Muslim but also Muslims struggle with none believers in the name of Allah. To a good Muslim you must follow all the rules and be as close to Muhammed life as you can. But like most religions the non jihadist muslim doesn’t follow all the rules and is considered a “Moderate Muslim”. A “Moderate Muslim”, doesn’t want the “good Muslims”, to know that the Moderate isn’t a “good Muslim” for fear of the “Good Muslim> coming after them so they don’t help the authorities arrest the Jihadist. 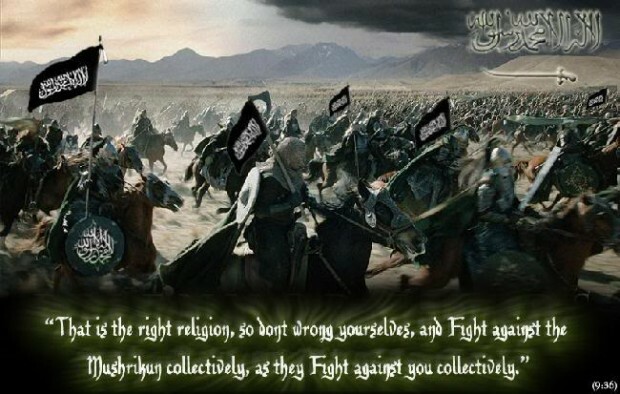 Historically once the Muslims good or Moderate have enough Muslims is any local, they can practice all being good Muslims and go after the non-believers to convert, make dhimmis and extort money from them or kill them. My question is, ” why should we infidels (Christians, Jews, Hindus, and all the rest, wait to be given that kind of choice. Why not start our own jihad now with any of them any place you find them because the Moderates will become “good Muslims” when they can hurt us the most.